If your first thoughts were that you were about to be reprimanded about your smoking, drinking or snooze-button habits, you are in luck. Or maybe not. Because those habits are the easier ones to kick. The impediments that shackle potential runners to the couch are usually much more unapparent. It may be one of a number of personal constraints or characters or any combination of a few. 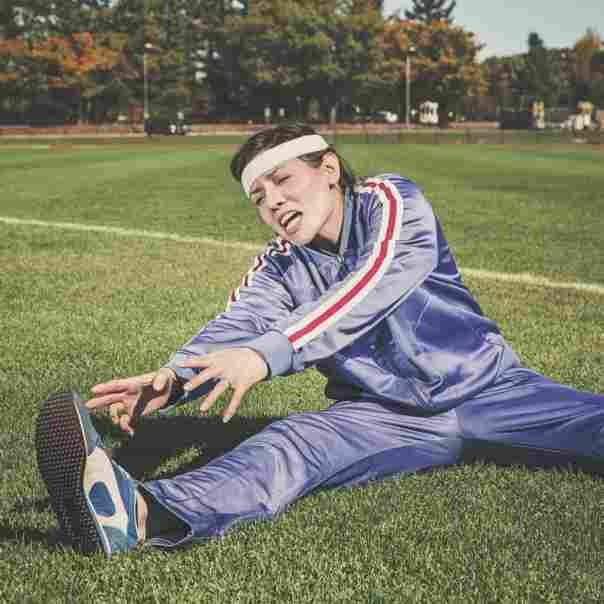 But taking up running, just like any other good habit, requires the application of the same basic principles of firstly overcoming some initial resistance and then just keeping up the momentum. It really is that easy. Here are a the three most common wrongful perceptions about running and how others overcame them them. A mental obstacle we too often face is that we feel we don’t physically qualify to be called a runner. Whether we think we are too overweight or too skinny, too young or too old, we all have the perfect mental image of what a real runner should look like. Far too often we blame the media, especially social media, for our skewed perceptions of athletes’ physical appearance. But there are also a whole lot of inspirational people and organisations out there that may help give up our hangups and lace up. 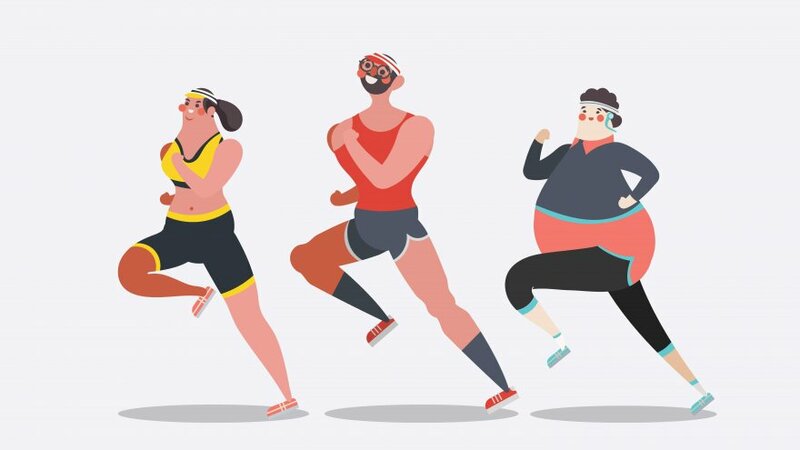 Strava has embarked on a beautifully inspiring campaign to bring some real back into reality. With their #AthletesUnfultered campaign they are encouraging athletes to post “anti-filtered” photos of them training or post-training. Kelly Roberts, Strava athlete and blogger at www.runselfierepeat.com is a poster child of the campaign. She has become famous for her quirky photos on Instagram but more so for the honest way she writes about overcoming self-image struggles as a runner. Do You Too Think You Aren’t Cut Out to be a “Real Runner”? 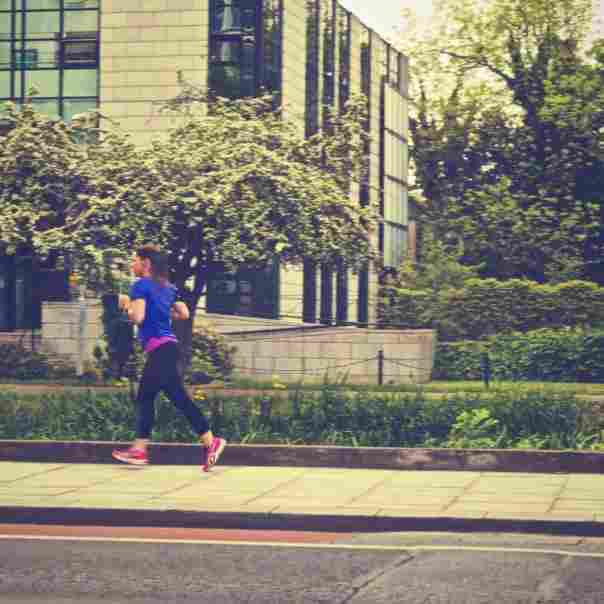 Think you first have to lose that weight to “look more like a runner” before your can run? Derek Mitchell has a tumor on his pituitary gland and has been overweight since his teens. He took up running 5K races four years ago and has been a huge inspiration to many people to take up running ever since. Read his story here. 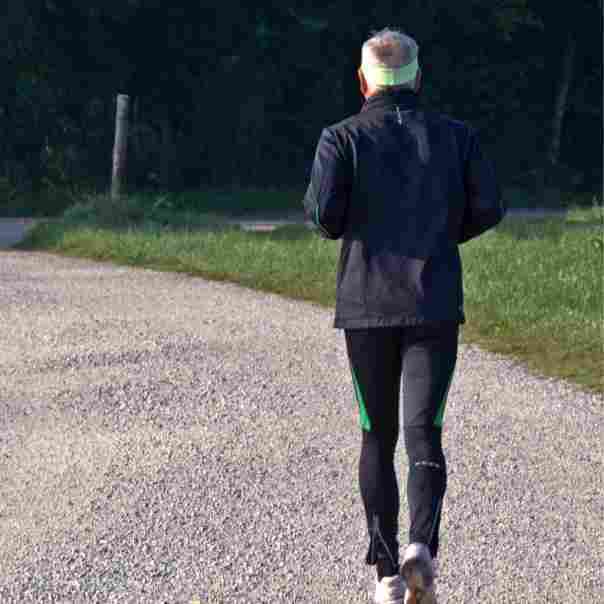 Think you are past your prime age to run? Deidre Larkin, the 86 year old runner from Johannesburg, South Africa, took up running when she was 78 after her doctor diagnosed her with osteoporosis. She ran 65 races in 2016 alone, and holds the world record for her age category in the half-marathon. Does the perception of “how easy” some others may seem to have it deter you from taking up the struggle to be your best runner? Perhaps you envy peers that you think have more free time to train, or who are financially able to access personal training. Or perhaps athletes that seem to be naturally fit and fast makes you believe that you shouldn’t even attempt to take up running? Sure there are people who were natural born runners. But for every “natural” there are far more “normals” out there that have to work really hard at achieving their goals. Do You Think Your Challenges Are Unique? From non-runner to Comrades winner. Caroline Wöstmann took up running in 2008 to shed the baby weight after having her first child. She was more than 37 pounds heavier than before her pregnancy and, although never a runner before that, she knew running would fit her demanding schedule. She finished her first Comrades (89 km) in 2009 in 09:17. After that she continued to improve, but also had to miss the race one year due to a stress fracture. During this time she had a second baby and still juggled a demanding career. At her fifth Comrades attempt in 2015 she became the first South African woman in 14 years to win Comrades, and only the second South African woman to win the Two Oceans ultra and Comrades in the same year. Running through cancer. In January 2016, the 37 year old Matthew Jones completed his quest to run a marathon on each of the seven continents. What makes his story remarkable is that he was diagnosed with acute myeloid leukemia in 2002 when he was 23. He was given a 10% chance of survival. During the course of his two year treatment he had to have a bone marrow transplant, he relapsed twice, slipped into a coma and was unable to talk audibly or walk without assistance. It was during this phase that he decided that he would run a marathon on each continent. Does your excuse for not running usually start with “I’ll start running once… (my workload eases up; my baby sleeps better; winter is over)”? Truth is, there is no perfect moment to start running. There will always be some sort of challenge. “Don’t wait for the perfect moment. Take a moment and make it perfect.” Zoey Sayward. Once you change your perception about a certain obstacle you may find that it was easier to overcome than you thought. And once you start getting in the habit of not sweating the small stuff, you may find that it is all small stuff! Are You Too Waiting for the Perfect Moment? Waiting for your kids to grow bigger or get back to school? Incorporate your kids in your running or work with what you have! Waiting for the weather to improve? Every season has got it’s charm! Enjoy a winter trail or an air-conditioned treadmill workout. In summer, why not get up and out early to beat the heat? Waiting for your work schedule to ease up or a time when you won’t have to travel so frequently? It is possible to run through a busy work and travel schedule, we have got your planning covered. Waiting for your ship to come in so you can afford new and fancy training gear? The 85 year old Ed Whitlock from Ontario, Canada, broke the world record for his age category in the 2016 Toronto Marathon. He finished in a time of 03:56:33, running through wind and rain and in a pair of 15-year-old running shoes. He also doesn’t subscribe to the use of heart rate monitors or any other “running gadgets“. He claims fidgetting with stuff takes up too much time he could spend actually running. The only way to be a real runner is to run. Run short, run long, run slow or fast, run daily or twice a week. Just run. Really, it is that simple. Nothing more and nothing less. There will be no perfect moment, reason or season. Your circumstances may change or they may stay the same. Your challenges may improve or they may not. But if you want to become a real runner, all you have to do is run.